First Christian Church of Winchester, Kentucky began life in 1791 as a nine member Baptist Congregation known as Strode’s Fork Church located at the early Clark County settlement of Strode’s Station. In 1812, the Church moved to the sight of the present-day Winchester Cemetery where a brick Church structure known as the Friendship Church was erected. The congregation at this point numbered about fifty people. As the church grew it became necessary to move once again, this time to the corner of Washington and Highland Streets in 1827. Through-out the 1820’s the congregation became increasingly drawn to the emerging Stone-Campbell movement and in 1849 left the Boone Creek Baptist Association. 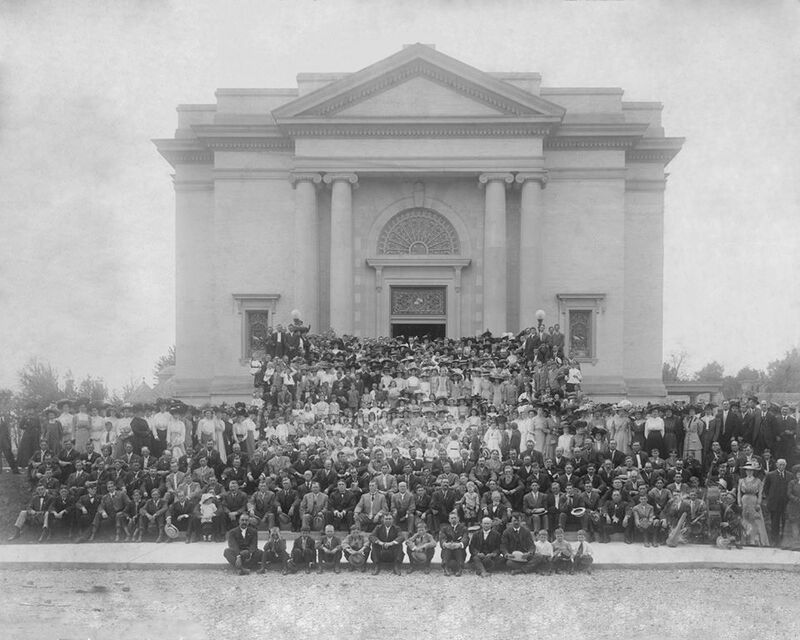 This photo was taken on May 8, 1910 with 642 in attendance.